Labour has called for an investigation into whether Boris Johnson "misled" the public over Russian involvement in the Salisbury nerve agent attack. Labour leader Jeremy Corbyn earlier implied the foreign secretary had exaggerated the findings of the UK's defence laboratory, Porton Down. Mr Johnson responded that Mr Corbyn's remarks were "lamentable". Meanwhile, the international chemical weapons body has rejected Russian calls for a joint inquiry into the case. Former Russian double-agent Sergei Skripal and his daughter Yulia remain in hospital after being poisoned by a nerve agent on 4 March. 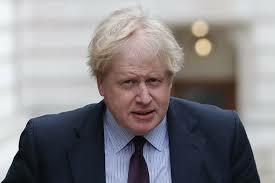 Labour said in an interview given to German TV last month, Mr Johnson said that "people from Porton Down" were "absolutely categorical", adding: "I asked the guy myself. I said 'are you sure? ', and he said 'there's no doubt'." Labour called on the prime minister to launch an investigation into whether Mr Johnson broke the ministerial code. Shadow Cabinet Office minister, Jon Trickett, said Mr Johnson had "serious questions to answer". "He clearly previously indicated that Porton Down had told him 'categorically' that Russia was the source of the nerve agent," he said. Mr Corbyn said the foreign secretary had "egg on his face for the statement he made on German television". "Either the foreign secretary has information that he's not sharing with Porton Down or it was a bit of exaggeration," he added. Mr Johnson hit back on Twitter. "It is lamentable that Jeremy Corbyn is now playing Russia's game and trying to discredit the UK over Salisbury attack," he wrote, setting out what he said were the "key facts". He added: "28 other countries have been so convinced by UK case they have expelled Russians. In contrast, Jeremy Corbyn chooses to side with the Russian spin machine." The UK has said that identifying the substance at Porton Down was "only one part of the intelligence picture". It comes as Russia has also sought to discredit the UK's accusations. Russia pointed to a now-deleted tweet by the Foreign Office which suggested Porton Down had "made clear" the nerve agent was "produced in Russia". It had sought a joint inquiry after the UK blamed it for being the source of the Novichok nerve agent used. Russia accused the UK of blocking access to an investigation being carried out by the Organization for the Prohibition of Chemical Weapons. But it lost by 15 votes to six, while 17 member states abstained. Following the verdict, Mr Johnson said Russia had failed in its attempts to "obscure the truth" and "derail the proper international process". Russia has said the comments from Porton Down's chief executive Gary Aitkenhead reveal the UK's case to be "nothing but assumptions". The Foreign Office said the deleted tweet had been part of a real-time account of a speech by the UK's ambassador in Moscow and was deleted because it "did not accurately report our ambassador's words". It added: "None of this changes the fact that it is our assessment that Russia was responsible for this brazen and reckless act and, as the international community agrees, there is no other plausible explanation. "No other country has a combination of the capability, the intent, and the motive to carry out such an act."